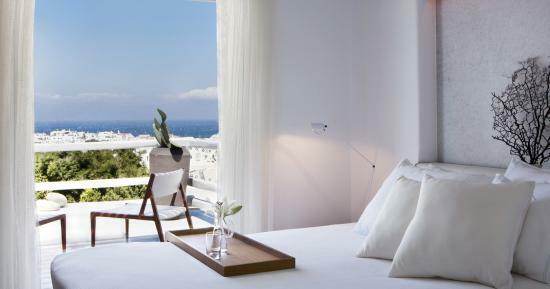 Situated on the verge of Mykonos Town, the Belvedere Hotel is a strategic location for both summer and winter travellers, offering a diverse experience that can be tailored to suit your needs. During low season, ferries and hydrofoils depart regularly from the port of Piraeus throughout the day. In the summer months they increase to five or six trips per day. Travel time for the speedier boats ranges between 3.5 to 4hrs, while ferries take upwards of 6hrs to arrive in Mykonos. There are regular ferries and hydrofoils departing from Athens’ secondary port, Rafina, as well, located just outside the city. Rafina a 30min drive from the Athens International Airport, El.Venizelos. The trip to Mykonos takes 2hrs by hydrofoil, while ferries cover the same distance in 4.5hrs. Olympic Air and Aegean Airlines operate daily flights to Mykonos, departing from Athens International Airport El. Venizelos. Travel time from Athens to Mykonos is approximately 25mins. 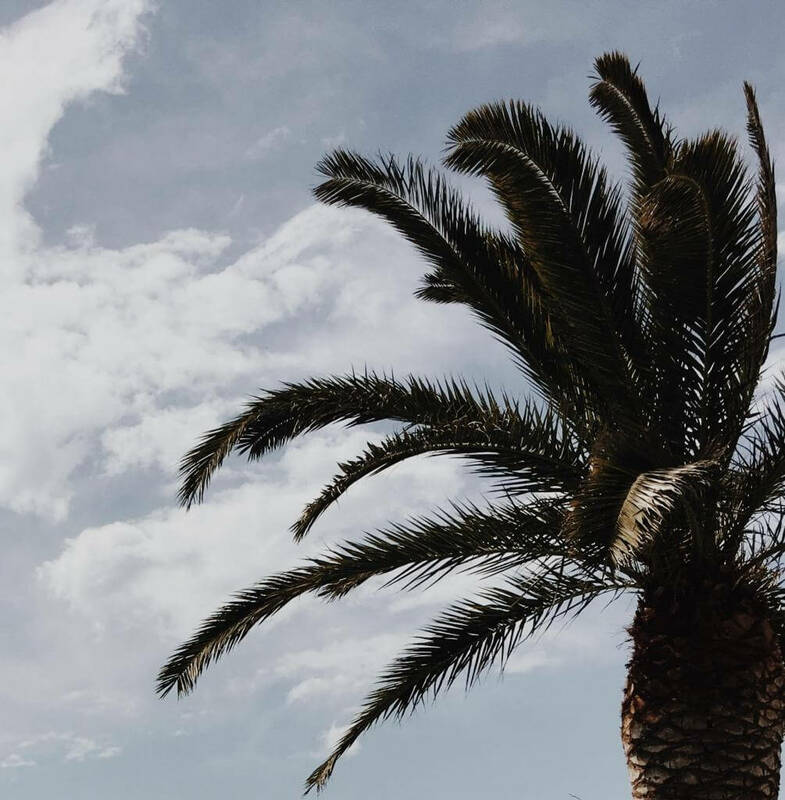 During the summer months, you can find direct charter flights to Mykonos International Airport from major European cities, such as Paris, London, Rome, Milan, Munich and Berlin. 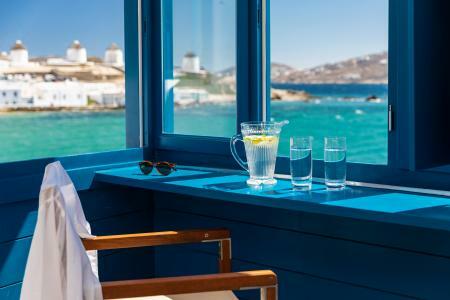 Contrary to popular belief, Mykonos is a destination for all seasons and many reasons. The island landscape lends itself well to autumn and winter drama, growing wilder and more colourful as the year advances. 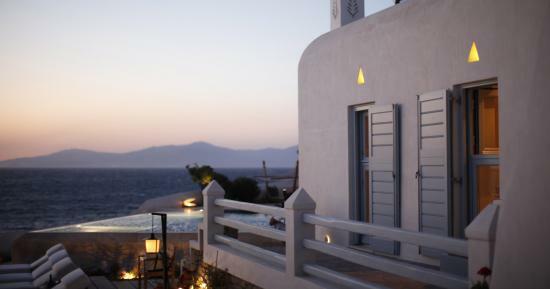 Traditional village life in the Cycladic Islands is a secret only revealed after vacationers have taken their leave. Once the glaring sun retreats, the islanders converge around the old port allowing winter travellers a taste of communal living. This is the best time to mingle with the locals and get to know the eclectic mix of born-and-bred Mykonians and those who have consciously chosen to call this island home. 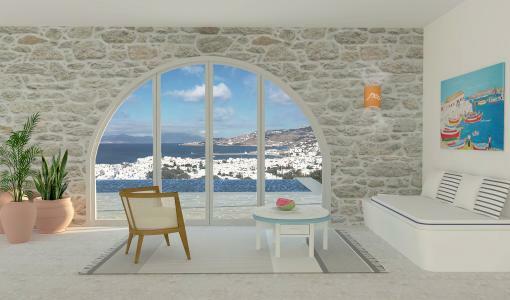 Winter in Mykonos is a quieter, yet enriching experience that will plant ideas in your head, whether you like it or not!